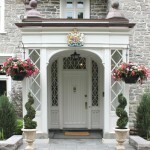 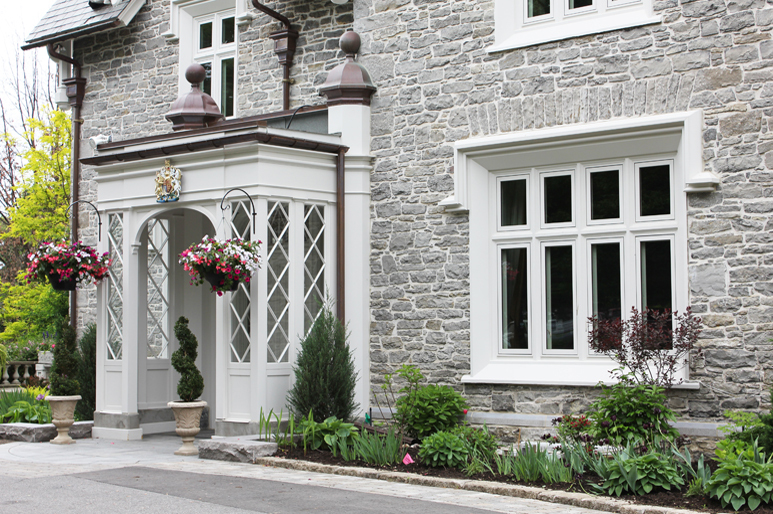 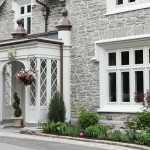 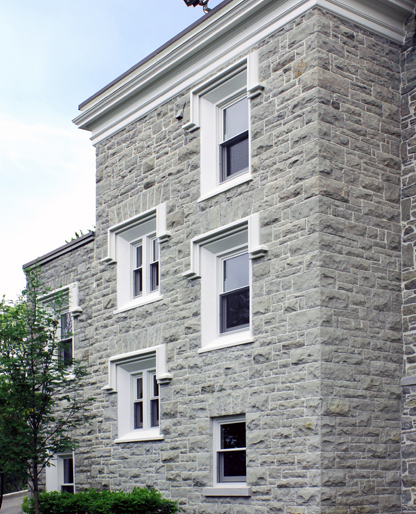 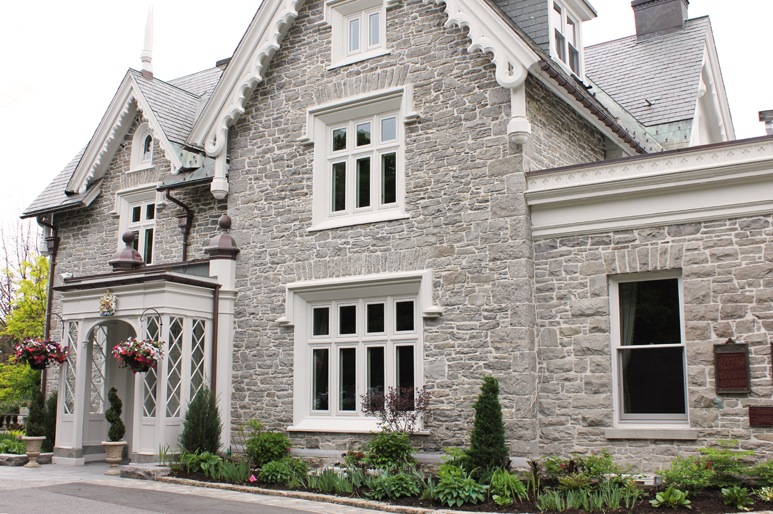 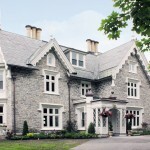 In 2013, the National Historic Site Earnscliffe Manor, the residence of the British High Commissioner and the former home of 19th century prime minister Sir John A. MacDonald underwent a major rejuvenation to address the ravages of time. 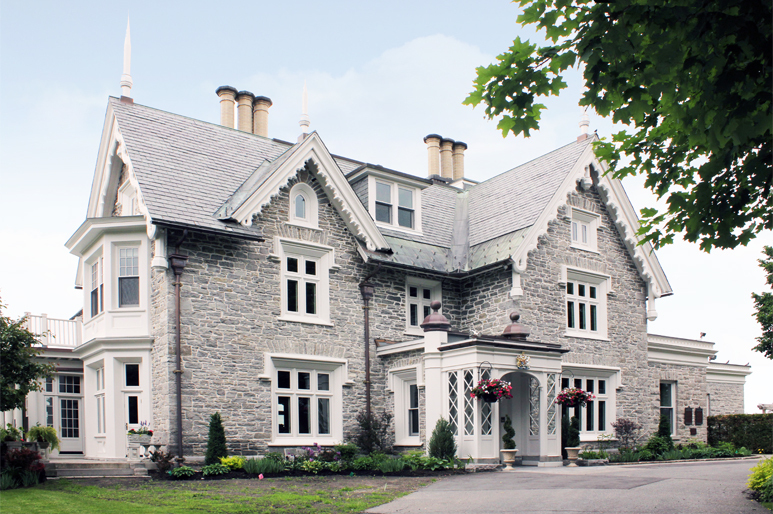 The Gothic Revival house is situated on a cliff overlooking the Ottawa River, just to the east of the MacDonald-Cartier bridge and is accessed from Sussex Drive. 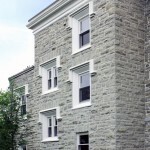 As part of the restoration, all the windows were replicated and replaced – no small matter considering that almost every window is unique and there are forty-five individual window types. 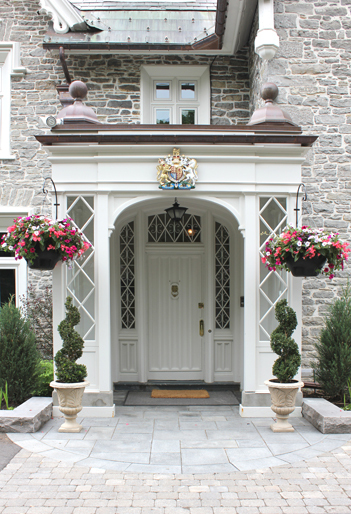 Most of the exterior doors were replaced and much of the exterior woodwork was removed and painstakingly re-crafted. 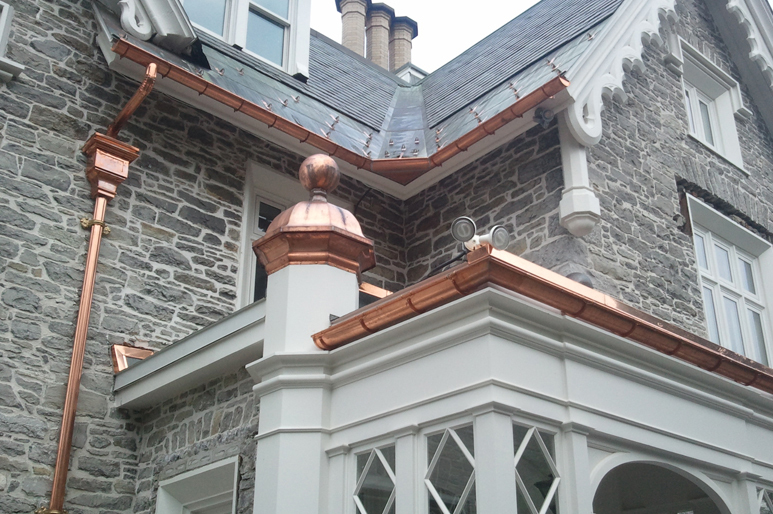 The copper roofing accessories and eavestroughs were replaced with gleaming new fabrications by modern-day artisans. 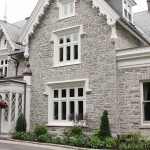 Granite pavers were used on walkways and cap off fresh new landscaping. 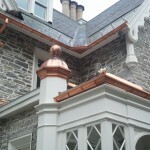 Renovations were also carried out to the interior to correct structural and building envelope issues.